As a major step to fight against the devastating consequences of climate change, Africa is prioritizing adaptation, that is, those activities that will make people, ecosystems and infrastructure less vulnerable to the impacts climate change, but a new report warns that the costs of climate change adaptation is expected to rise far beyond Africa’s coping capacity. According to a new United Nations Environment Programme (UNEP) report, dubbed Africa Adaptation Gap report 11, the continent could see climate change adaptation costs rise to US$50 billion per year by 2050, even assuming international efforts keep global warming below 2°C this century. “The climate change challenge exceeds the capacity of the continent to respond to projected damages and impacts through domestic resources, even if the base to raise additional funding is broadened. 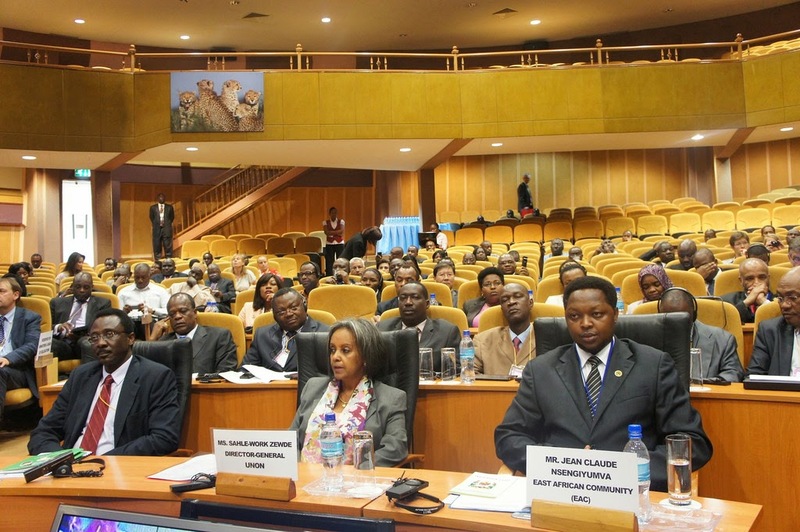 Scaled-up international support for African countries is therefore critical,” the report stated. The report was released at the 15th African Ministerial Conference on the Environment (AMCEN), in Cairo, Egypt. A statement by UNEP said the report builds on UNEP’s Global Adaptation Gap Report 2014, which found that adaptation costs in all developing countries together could climb as high as US$250-500 billion per year by 2050. “Costs could double to USD 100 billion per year by 2050 under a scenario that has the world warming more than 4˚C warming by 2100,” the report warned. The report said deep global emissions reductions are the best way to head off Africa’s crippling adaptation costs. It also finds that the continent’s domestic resources are insufficient to respond to projected impacts, but it would be important to complement international funding for African countries —including meeting the Cancun climate finance commitments by 2020. “The accelerating rate of climate change poses great adaptation challenges, of which we have been well forewarned,” said UN Under-Secretary-General and UNEP Executive Director, Achim Steiner. “The best insurance against the many potential negative impacts of climate change is ambitious global mitigation action in the long-run, combined with large – scale and rapidly increasing funding for adaptation. Investing in resilience and adaptation as an integral part of national development planning can develop resilience to future climate change impacts” he added. The UNEP statement said, warming projections under medium scenarios indicate that extensive areas of Africa will exceed 2°C by the last two decades of this century relative to the late 20th century mean annual temperature. Under a high warming pathway, temperatures could exceed 2°C by mid-century across much of Africa and reach between 3°C and 6°C by the end of the Century, the statement said. This would have a severe impact on agricultural production, food security, human health and water availability. “This is not just a question of money; millions of people and their livelihoods are at stake,” said Binilith Mahenge, outgoing President of AMCEN and Tanzania’s Minister of State for Environment. “Rising to the challenge and addressing the systemic harm that climate change may cause in Africa, thus undermining the post-2015 sustainable development agenda, warrants leaving no stone unturned in exploring opportunities for supporting adaptation actions and measures in Africa,” he added. Closing the funding gap The report explores the extent to which African nations can contribute to closing the adaptation gap —especially in the area of identifying the resources that will be needed. The evidence suggests that African countries—such as Ghana, Ethiopia and South Africa—are already committing some resources of their own to adaptation efforts. Country-case studies in the report suggest that by 2029/2030, under moderately optimistic growth scenarios, Ghana could for example--based on hypothetical scenarios—commit US$233million to adaptation financing, Ethiopia US$248 million, South Africa US$961 million and Togo US$18.2 million. However, international funding will be required to bridge the growing adaptation gap even if African nations commit to ways to increase domestic sources. Current levels of international finance, through bilateral and multilateral sources, are not sufficient. “Because of the magnitude of the challenge, further examination of the potential and the feasibility of mobilizing untapped international, regional and domestic sources should be explored further,” said Steiner.